It’s Halloween and Baby Hazel will visit a spooky castle. Help her to find her friends. They arrived before she did and already went through the door. Her teacher gives you a hint on how to find them. Have fun with them and keep them company. Unlock each new level while solving the puzzles. Play this game with your little one. Enjoy! Our happy little girl enters a mysterious room while looking for her friends. Will the green monster get her? Though it looks like a tattoo stall, no one else seems to be nearby. Look around carefully and keep her and her friends company while they wait for the tattoo man to get there. Exclaim over their wonderful tattoos. Follow along with the group so they aren’t afraid of the green monster. Help her get candy for her friends to share. Tattoos aren’t the only things she and her friends can do there. Eeek! There are spiders in here! Everyone needs a costume on Halloween, even our happy little girl. See the frights she gets up to with her friend Liam. Don’t be afraid of their scary faces. The two friends take turns scaring each other and themselves. Wouldn’t you like to play dress up for Halloween with your little pumpkin? Which is the spookiest costume for little Hazel? Which is spooky for little Liam? 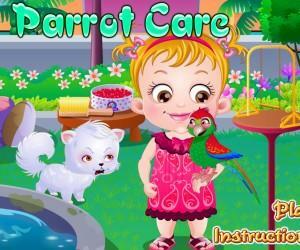 These games are designed to be fun, educational and interactive. Walk your little one through the puzzles and help them find resolutions. Courtesy is taught in a fun way. The player will learn about making apologies, making friends feel better, how to hunt for and find various objects on the screen. As your child learns to follow the action on the screen, they are also learning the basics of electronic games. 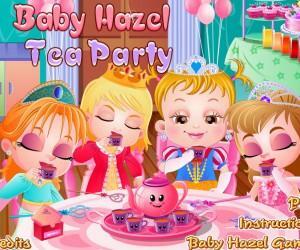 Let’s follow our darling Baby Hazel as she visits the Halloween castle, on eve of Halloween Day. Our brave girl explores the mystery rooms of the castle, that are filled with gifts and surprises. Enjoy Halloween with her and don’t be scared!